MIDDAS Interior Solutions are pleased to announce that we have successfully secured the laboratory package for Smith & Nephew as part of the redevelopment works at their Advanced Wound Care facility. The MIDDAS M100 system was selected for its fully-flush finish with integrated door sets and flush bonded glazing, providing the ideal working envelope and controlled environment for their requirements. 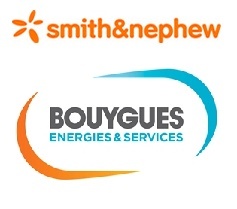 We will be working with Bouygues E&S providing our M100 system and MCT metal clip-in ceiling for the project, which is due for completion in November ’15.